The Arab world, and Egypt in particular, has always been a hive abuzz with conspiracy theory. During times of trouble, a significant portion of the Egyptian population has looked to plots from abroad to explain away their woes—and the political elites have a tendency to distract the Egyptian street with fantastical tales of sedition. In the run-up to the revolution, the Mubarak government tried to cling to power by promoting a string of increasingly unlikely conspiracy theories. On January 29—the fifth day of the uprising—Egyptian state media claimed that hostile foreign powers were working together to “destabilize the homeland,” variously citing a combination of the US, Israel, Iran, Qatar and Hamas as the offenders. Al-Ahram, Egypt’s flagship state-run newspaper, reported that the protests were being “supported by [Israeli prime minister] Netanyahu.” In a later edition, it claimed that the Muslim Brotherhood was supporting the Tahrir Square demonstrations with financial assistance from Qatar and Iran, an unlikely combination of bedfellows if there ever was one. On February 3, 2011, Egypt’s pro-government Al-Akhbar newspaper carried the headline “The Most Dangerous Conspiracy,” in reference to the uprising. This was followed by even more outlandish claims in the Egyptian media that Hezbollah commando units, supported by Hamas, had infiltrated the country from Sudan, and that Iran was paying Egyptians to take to the streets. Two years on from the Egyptian revolution, and nothing has changed. If anything, this phenomenon has only become worse. Today, we are hearing theories that Qatar is seeking to purchase the Suez Canal and the Pyramids of Giza, and that Hamas wants to set up an outpost in the Sinai. 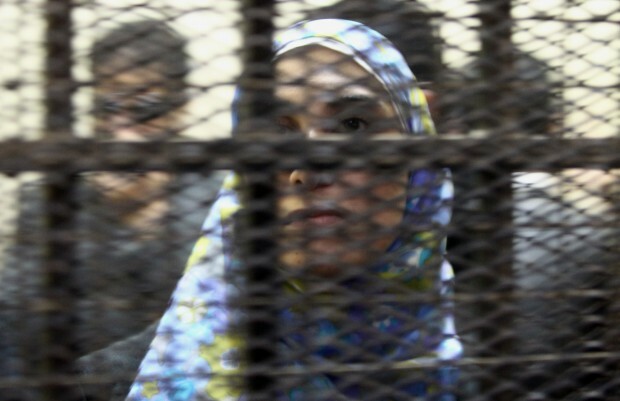 A case in point is the controversial trial of a number of foreign and Egyptian NGO workers who stand accused of operating illegal organizations in Egypt. The case began with armed raids on a number of US government-funded NGOs in December 2011. The accused are officially charged with operating without a license and receiving and distributing foreign funding to Egyptian political and civil society groups, but the whiff of conspiracy theory is clearly detectable in the proceedings and charges being brought against the civil society workers. Fayza Aboul-Naga, the former Egyptian minister of international cooperation, is widely seen as the driving force behind the NGO trail. This seemingly conspiracy-obsessed minister was one of the few to survive the tumultuous political transfer from Mubarak to the Muslim Brotherhood. In statements made to the judges on the case, Aboul-Naga claimed that the Egyptian uprising had initially been driven by the US before being “transformed” into a people’s revolution. The judiciary is still pursuing the case, with 43 NGO workers awaiting the verdict. The Egyptian press jumped on the conspiracy bandwagon and have claimed that the accused are spies or guilty of treason. Conspiracy theories are the Egyptian people’s daily bread, but if the country is to grow and develop and overcome the post-revolutionary political and economic crises it is facing, then it must change its diet. There are many reasons why people like conspiracy theories, particularly as they absolve us of our responsibilities: our responsibility to take action, to participate, to do something—anything—to make things better. It is easier to say that we cannot do anything, that outside forces are conspiring against us—that our hands are tied. The reality is that we have tied our own hands; we must free ourselves and leave behind this unholy fascination with conspiracy theories.